Batsto Citizens Committee, Inc. Announces Summer 2014 Events ~ The History Girl! To celebrate the 350th anniversary of the State of New Jersey, the Batsto Citizens Committee, Inc. is pleased to announce three events to acknowledge the state’s contributions to the nation and the world. On June 9, July 12, and August 9, 2014 historic Batsto Village in Wharton State Forest will be alive with activities that highlight the innovation, diversity and liberty associated with New Jersey. June brings the Wheaton Glass Blowers to Batsto Village to demonstrate the art of glass blowing. Glass was an important industry for New Jersey in the nineteenth century. Famous for its “Batsto Lights” sold throughout the region, the noted salt water taffy pioneer Joseph Fralinger worked as a glass blower in the village. Students from the Carlisle School of Glass Art in Millville, New Jersey will also be on-hand to provide demonstrations and share the history of glass making. July 12, 2014 features a Revolutionary War theme. Batsto played an important role in the fight for independence; supplying munitions for the war effort made from bog ore scrapped from the beds of local streams and ponds. Walking tours guided by a period reenactor will combine history and a relaxing stroll of the grounds. In addition to a Civil War encampment on August 9, 2014 the Wharton State Forest’s Second Saturday Speaker Series will feature a presentation titled “Rare and Interesting Wildflowers of the Pine Barrens.” The New Jersey Pinelands are one of the most unique natural habitats on the planet and visitors will get the opportunity to see why people come from all over the world come to witness its beauty. The Batsto Post Office; one of only four in the United States authorized to operate without a zip code, will be open on these dates to cancel your pre-stamped mail. First opened in 1852, the Batsto Post Office will have the first of several special; one time only cancellations in use on these dates. The stately Batsto mansion; home of the Richards family for nearly a century and later owned by Philadelphia industrialist Joseph Wharton, will be open for tours for a small charge from 10:00 am - 3:00 pm. 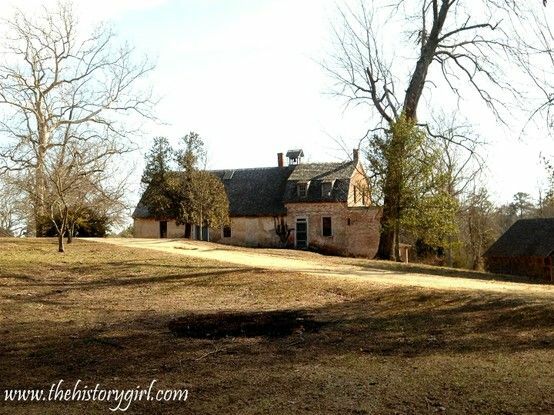 The “Big House on the Hill” is a remarkable structure with its beginnings in 1784. A blacksmith will be on hand to demonstrate the art of shaping iron into useful items and the saw mill will be powered and making lumber cuts just as it did for many years at the site. Summer parking of $5.00 per car is in effect through Labor Day at Batsto Village. For additional event information, call the Wharton State Forest Visitor Center at 609-561-0024. Located eight miles east of Hammonton on New Jersey Route 542, Batsto Village is a New Jersey historic site located in the South Central Pinelands. Administered by the New Jersey Department of Environmental Protection's Division of Parks & Forestry, this site is nationally recognized for its historical significance and beauty. The roots of Batsto Village can be traced back to 1766. Two centuries of American history are available to visitors, with the Pinelands environment as a scenic backdrop. About Batsto Citizens Committee, Inc. The Batsto Citizens Committee was founded in 1956 to aid the State of New Jersey in the development of Batsto Village as an historic site. Its purpose was to advise, assist and promote the restoration and interpretation of the historic and natural aspects of Batsto Village. In 1997, the committee reorganized and became incorporated as the Batsto Citizens Committee, Inc. (BCCI), and continues to follow the above objectives. For more information about BCCI visit www.batstovillage.org.